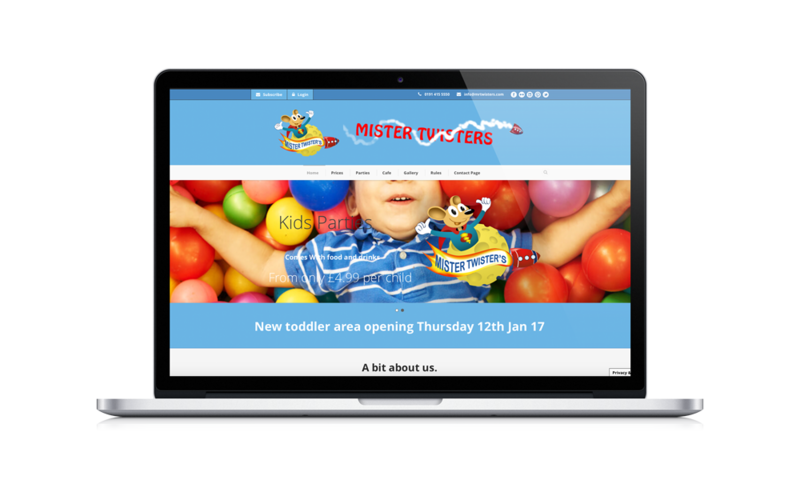 We have been working with Mister Twister’s for a few years now to supply them with promotional prints and advertising in our local advertiser, Bizdex Buzz and were overjoyed when we were asked to oversee all the promotions for their next adventure; Mister Twister’s Jump Centre. The revamp seen a lot of changes including moving the tots area upstairs and taking out a number of activities, allowing for the installation of a new trampoline park to go alongside the soft play area. 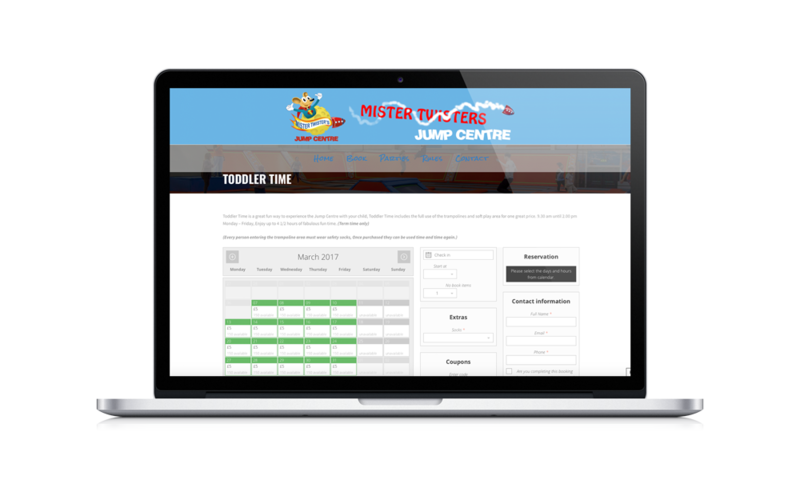 Due to the great work we have done to date for Mr Twister’s, we were asked to create a brand new website for the Jump Centre side of the business but also a new website for the Mister Twister’s brand itself; which had been in need of a shake-up for a while. We redrew the logo to get a vector version, created the Jump Centre and Mister Twister’s websites, have provided and continue to provide signage for internal and external use within the premises, and look forward to continuing to provide ongoing promotional work. The Jump Centre website incorporated a bespoke booking system as well as payment gateway to enable customers to book and pay online, making life considerably easier for staff and management alike – who doesn’t want a website that not only generates you business but brings in actual money too?